In this week’s blog we are going to look at how we can improve posture. 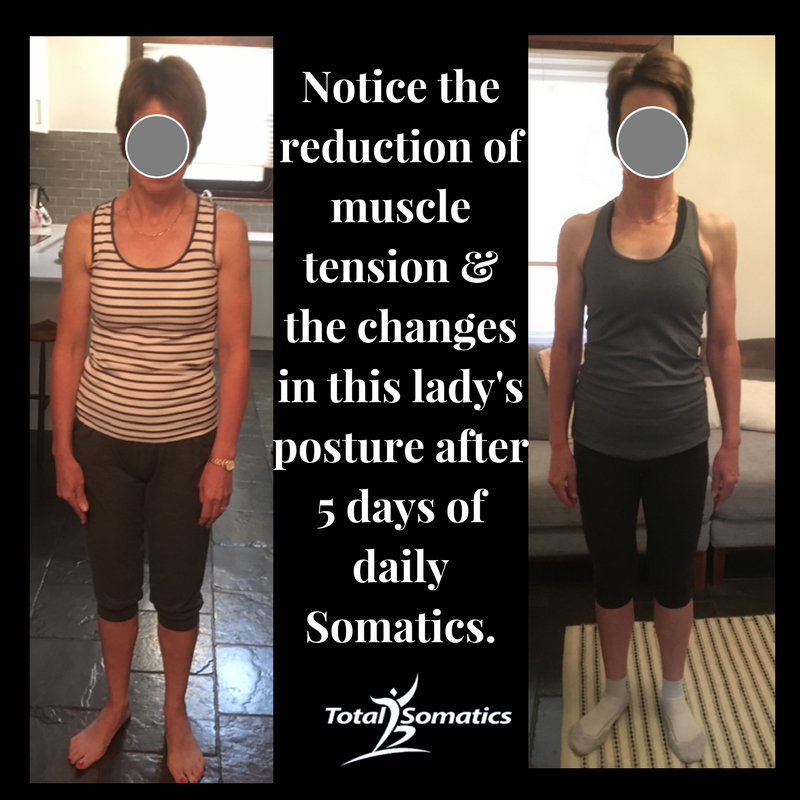 With permission from my clients, I will also show you posture photos of clients before and after somatic movement, so you can see the huge shifts in muscle tension and structure. For years we have been encouraged to stretch out muscle tension. We have been encouraged to use hard foam rollers to roll on tight muscles or stretch our chest muscles to improve posture. We have been encouraged to purchase gadgets and gizmos to straighten our spine, yet these are band aid solutions are really very limited. Thankfully due to the advances into neuroscience, we are now understanding the human body so much more. We are moving away from the dated understanding of stretching muscles to reverse muscle tension. We are looking at the intelligent command centre which actually sends messages or input to the muscles to tell them how much tension to hold, our central nervous system. No amount of stretching and willpower can over ride the commands of muscle tension dictated by the brain. Until we reeducate our brain to muscle communication, we will continue to operate under our brain’s commands, subconsciously. This posture above creates issues from his head to his feet. The weight distribution through his feet will alter. He may feel more of his body weight through the inside or on the balls of his feet. Imagine how the change in weight distribution through his feet alters the pressure through his ankles, knees, hips and lower back. If he is no longer loading weight evenly, his muscles and joints suffer. Let's consider the centre of his body and his abdominals or six pack muscle. Notice how they have shortened and become tight. When this happens, his tailbone and ribs draw closer together. It causes his tail bone to tuck up and under whilst his ribcage draws down. Staying in this postural stress response creates lower back issues, shallow breathing, digestive and/or reproductive problems, hip flexor discomfort, neck and shoulder pain, just to name a few. As we continue to notice how other areas of the body are affected, notice how the person’s head stoops forward as his ribs depress and he draws his shoulders forward. In order to look at the horizon and see where he is going, this person has to tilt his head up, fixing his eye muscles to a new level of tension and jutting his chin up to move forward. Repeated movement in this posture creates muscle and joint pain. Until we change the way the brain is communicating to the muscles subconsciously with conscious movement and reeducation of posture, we will continue to feel pain and limited mobility which will impact on our physical, emotional and mental health, thus affecting our quality of life. 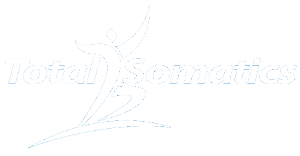 When I teach my clients mindful somatic movement, they are able to retrain their brain to muscle communication effectively, without stretching, tugging, pulling or drugging their muscles. When they change the input messages to the muscles from the brain, immediate changes happen. Check out the before and after photos below…. For years people have thought that results occur from pushing hard and fast. However this has created many muscle and joint issues and at times surgery. Overstretching and heavy loading of muscles has created an acceleration of joint degeneration and muscle tears. As a result of this 'full throttle' behaviour, it has caused a shift in posture and created further complications and pain. When we now consider the neuroscience, we know we can make huge changes with our posture and allow our muscles to work more efficiently when we work smarter not harder with our body. By accessing the command centre, our brain, we can see from the photos that changes happen very quickly. There is no need to invest in gadgets and gizmos, just start working with your amazing mind and body or soma to make lasting changes. I have created audios which will help improve posture, reduce pain, increase mobility and allow you to return to the activities you love to do. In the comfort and privacy of your own home you can listen to these audios and start making huge changes in the quality of your life and how you move. To learn more CLICK HERE. As we continue to learn more about pain and somatic movement from within the field of neuroscience, we realise that our beliefs around how to improve posture and increase mobility may have to change. What we once thought was effective, such as stretching, is now starting to be challenged. Old scientific models of biomechanics are being questioned with the mounting evidence from the field of neuroscience and pain science. Consider the following 15 minute Ted Talk which highlights how important it is to work from within using our brain to body connection…. Would you like to learn in greater detail how to reduce pain, improve posture, increase mobility, develop mindfulness and return or continue to pursue the activities you love to do? 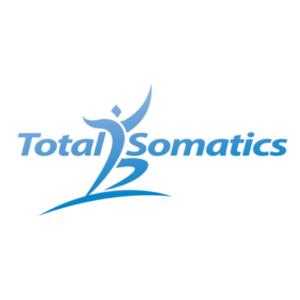 Allow me to guide you with my online program, The Total Somatics Approach to Health & Wellness. It is self paced and can be performed in the comfort and privacy of your own home. I will teach you with videos, audios and other support material how to work smarter not harder with your mind and body. I am always keeping you up to date with knowledge and techniques by periodically uploading new material to the online program.